Spring flowering bulbs signal the end of winter. There is no limit to the number of bulbs that can be planted to add a splash of colour to the garden in late winter, early spring and summer. Bulbs are not just popular for the masses of flowers they produce, but there is the added bonus of fragrance, they are great for picking, and can also be grown in patio pots and tubs. With careful planning and planting, bulbs could be flowering in your garden right through to the end of summer. A bulb contains all the nutrients it needs for growth and flowering. The term bulb loosely covers all bulbs and includes tubers, corms and rhizomes. Bulbs are made up of layers of fleshy scales. Onions, liliums and daffodils are true bulbs, corms are solid flesh, sometimes woody looking. As the corm grows, bulblets form and the old one shrivels up and disappears. Gladioli, freesias and anemones are corms. Tubers are thickened shoots. The best known tuber is the potato, cyclamen and begonias are also tubers. Rhizomes are fleshy creeping stems that produce roots and flower spikes, a good example is the Bearded Iris. Plant popular spring flowering bulbs, such as anemones, hyacinths and daffodils in autumn through to early winter. Summer flowering bulbs such as nerines, dahlias, begonias and liliums are planted in winter through to early spring. Bulbs thrive in well drained soils. Damp soils will rot most bulbs; however, Japanese iris is one that will tolerate a damp location. 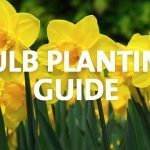 Bulbs are best planted in full sun or semi-shade. Lily of the valley, snowflakes, bluebells and crocus species are some that will flower happily in shady locations. before planting to rehydrate them. 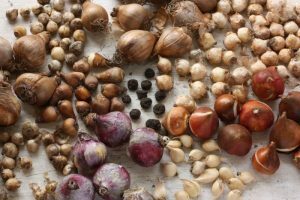 By planting your bulbs in groups, 2 weeks apart for 6-8 weeks from the end of February you can be rewarded with up to 3 months of blooms, with new blooms emerging as old ones die off. Click here for more info on stagger planting. In warmer areas, chilling bulbs in the fridge for 5-6 weeks in a paper bag will help bring on blooms in spring. Don’t use a plastic bag as the bulbs may sweat and rot. 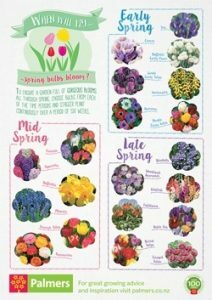 See Palmers ‘all you need to know about planting bulbs’ guide online or in store for more information. After flowering, leave the bulbs to die down completely. 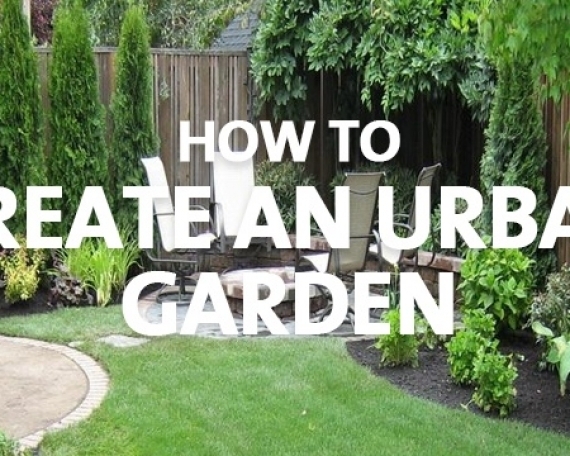 It is tempting to cut off the straggly foliage, but don’t be tempted. The leaves provide the bulbs food supply for the following season. Tie the foliage in a knot or fold the foliage over and secure with a rubber band to tidy them up. 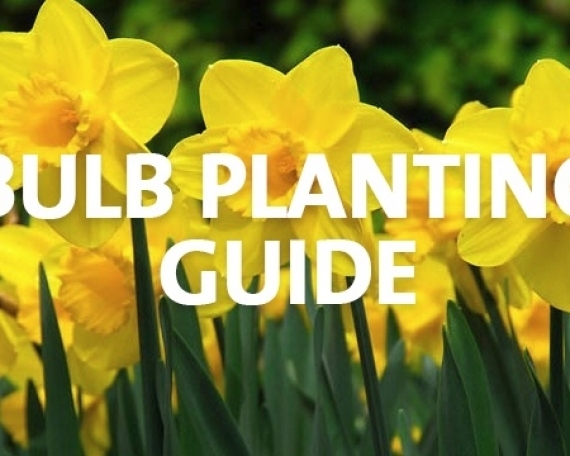 Bulbs can be lifted when the foliage starts to die down. 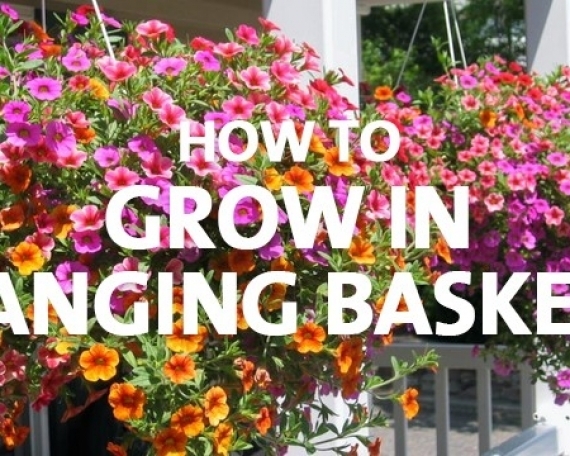 If you know you are going to lift your bulbs, plant them in bulb baskets. This makes lifting easy and the bulbs easy to find. Leave the foliage attached until it dries off naturally. After the foliage has dried, remove it. 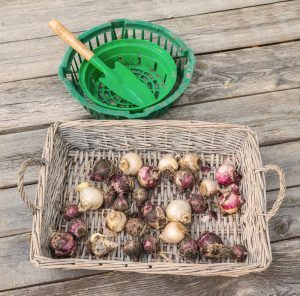 Store the bulbs in a net bag or seed tray in a cool, dry, airy place. Not all bulbs need lifting. 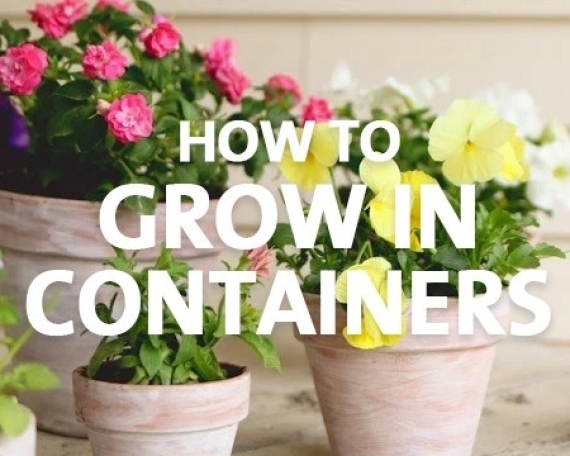 It is a good idea to lift them if the soil gets very hot in summer, as the bulb is in danger of roasting, or if the ground becomes waterlogged at times. Otherwise, bulbs can be left in the ground for 2-3 years until they become overcrowded. At this time, they can be dug up, divided, replanted or stored. When bulbs push through the soil’s surface, it is a good time to apply a specially blended bulb fertiliser. Do this again when they have finished flowering. This ensures plenty of flowers the following season. All bulbs benefit from a layer of mulch to keep the soil cool and moist. 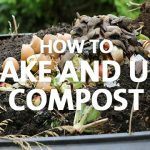 Apply a layer of mulch approximately 2cm thick soon after planting. With spring flowering bulbs, nature takes care of the watering, giving us rain. Summer and autumn flowering bulbs may need additional water during their growing season depending on the weather. Bulbs are relatively pest and disease free. Slugs and snails can be a problem when new shoots emerge through the soil. We recommend Tui Quash and Debug Diatomaceous Earth. Both of these are safe to use around pets and bird life. Debug also controls mites and other insects. Bulbs look great planted in patio pots, tubs and bowls. 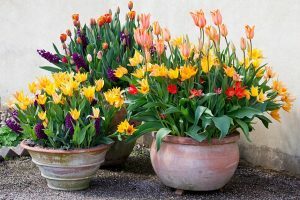 The best spring flowering bulbs for bowls are daffodils, tulips, freesias, hyacinths, grape hyacinths, bluebells and crocus. Summer flowering bulbs suitable for containers are begonias, calla lilies, dahlias and lilies. Always use a quality potting mix and plant bulbs close to each other, even touching. You can also plant a variety of bulbs in a pot so that the larger ones are down deeper than the small ones. This will create a mixed and interesting display as well as a prolonged flowering period. Water the bulbs; place them in a shady position for 4-5 weeks. When shoots emerge, move the pot to full sun. When they flower you can move the pot indoors to enjoy the flowers and fragrance.